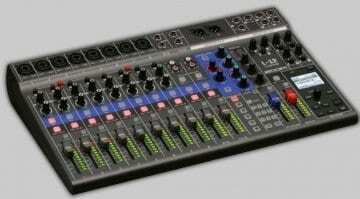 Can Tascam crack the mid-sized digital mixer/interface market with Model 24? Tascam has a new medium-format digital mixer and live recorder on the block, the Model 24. As its name suggests, the device offers 24-track, 48kHz sound capture and recording (22 audio channels and stereo main mix) with 22 playback tracks, both over USB and onto an SD card. Alas, the sides are faux-wood, but then again, this thing is meant to be carried around, chipped, knocked, beer spilled over it, cigarettes extinguished on it and living the rock and roll life! So real wood would only have made for a more expensive unit. Still, the design is adorably and stylishly vintage. Tascam equipped the desk with 100 mm long-throw faders as well as a pair of monitor returns, subgroup bus, and stereo main bus, all with dedicated 100 mm LT faders. 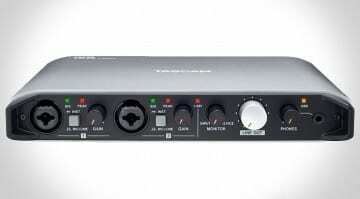 All 16 mic inputs utilise Tascam preamps and have preamp gain controls with overload indicators. Channels 21/22 are summed into one stereo channel with unbalanced RCA, unbalanced stereo minijack, and Bluetooth connectivity for streaming music from a mobile device. The stereo channel is also optimized to feed the Monitor 1 and 2 buses with rotary aux send controls. 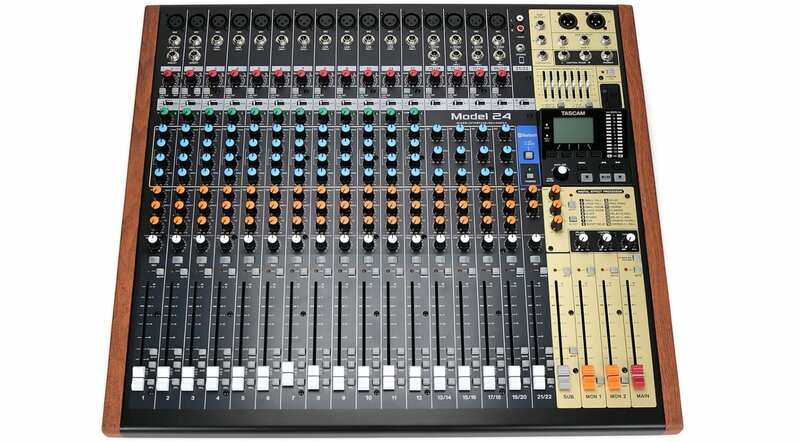 Outputs include stereo XLR and ¼-inch main outputs, two ¼-inch monitor sends, an effects send, stereo control room outputs, and a stereo ¼-inch headphone monitor output. Effects-wise, each of the 12 mono channels has a one-knob compressor, low cut filter, and 3-band semi-parametric EQ with sweepable midrange. Furthermore, a stereo 7-band graphic EQ can be added to the main mix or monitor outputs for shaping mixes and dealing with monitor feedback. 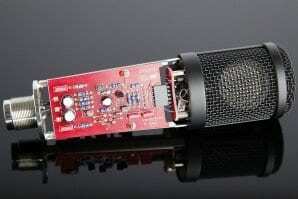 Finally, there’s an on-board DSP with 16 effects, such as reverb, delay, chorus, and flanging. While TASCAM is yet to announce a price and release date for the Model 24, it has scheduled its availability for the fourth quarter of 2018. So we cannot directly compare with other desks/recorders on the market, such as ones by Zoom right now. Also, 96kHz would have been nice, as it’s nearly expected in this day and age. We expect to learn more about the desk in the months ahead. 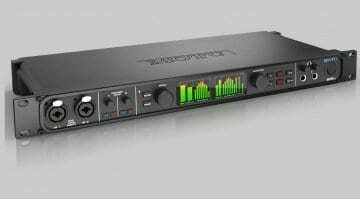 MOTU ships 828 ES $1000 interface: Can it break into the pro interface market? One effect send only kind of cripples it as a live mixer….